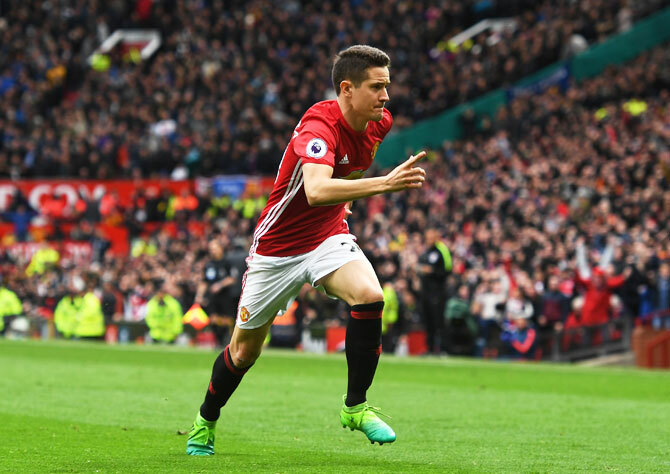 Manchester United manager Jose Mourinho hailed his defensive midfielders, Ander Herrera and Matteo Darmian, for a "special performance" after the 2-0 Premier League win over his former club Chelsea on Sunday opened up the title race. "I think it was a special performance because it was a special opponent, the leaders, the way they play. I think we played really well, a very solid performance," said Mourinho. "We gave them double problems -- problems when we had the ball and problems when we recovered the ball because we were really sharp and fast and aggressive in our transitions. I am very happy," he said after the victory at Old Trafford. Mourinho added that the key to beating Chelsea, whose lead over second-placed London rivals Tottenham Hotspur is just four points, was eliminating the threat they posed through Eden Hazard and Pedro working behind Diego Costa and also their effectiveness in wide positions on the counter-attack. Spanaird Herrera, who got the second goal after 49 minutes following Marcus Rashford's early opener, did a masterful job man-marking Hazard while Italian Darmian kept Pedro quiet, with the result that Chelsea did not manage a single shot on target. "Maybe it is difficult for some managers to find Ander Herrera to do the job he did today. Maybe it is difficult for some to find Matteo Darmian to play the role he played. "I want to say I was convinced even before (the defeat by Chelsea in February's FA) Cup match that controlling the two players that play behind Diego (Costa) and controlling the full-backs, because they go really deep with two wide men, would create lots of problems and I repeat the same," said Mourinho. "They are phenomenal in (the) counter-attack. When they tried to play counter-attack we were always in control of these two link positions," he added. 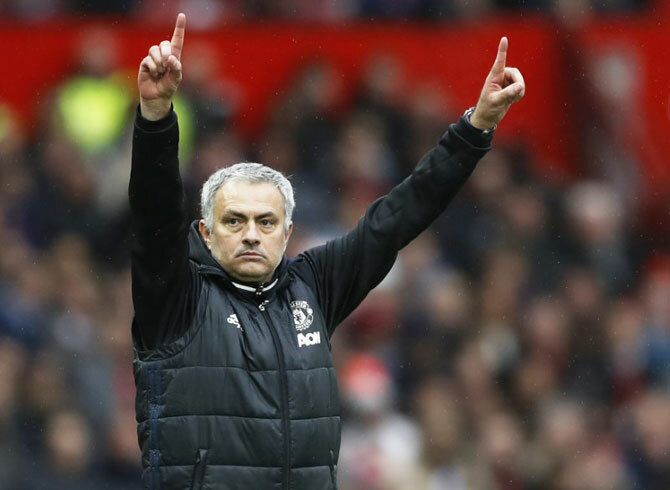 The win extends fifth-placed United's unbeaten league run to 22 games and keeps them in the hunt for a Champions League spot with Mourinho seeing signs of progress from his squad. "Normally you win the title if you are 22 matches unbeaten and we are struggling to finish top four," he said, with United four points behind fourth-placed ManchesterCity with a game in hand. "Everybody knows why -- it is because we drew too many matches at home and we are paying the price. But it is a great feeling to know it is difficult for us to lose a match. We fight until the end. "We need a little more quality and different qualities in some positions to make the squad stronger, but in terms of character and the human side I have one of the best groups ever," said the former Real Madrid and Inter Milan manager.